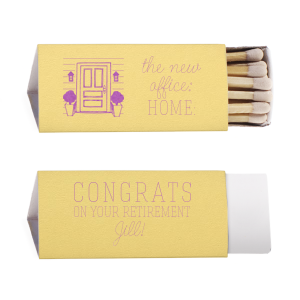 Give your retirement party the perfect touch of personalization with custom designed retirement triangle matchboxes! 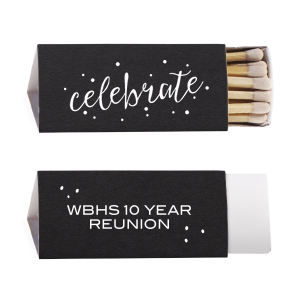 Endless color combinations and designer-made graphics ensure that your personalized retirement triangle matchboxes will complement your party theme! You’ve given your adult life to get to this milestone, so don’t skimp on your personalized party supplies! 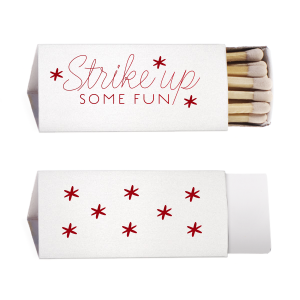 You’ll love For Your Party’s customized retirement party triangle matchboxes. Customizable in an array of paper colors and foil stamping options, you’ll find a colorway that complements your party theme easily. Upload you own design, or choose a designer-made look from our curated galleries- either way you will love your custom retirement triangle matchboxes. 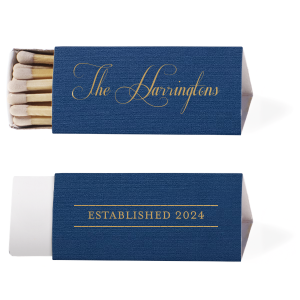 Your party guests will appreciate your customized retirement triangle matchboxes as a fresh, modern take on a classic party favor. 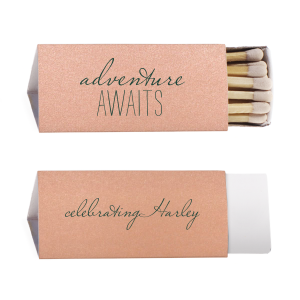 Get your creativity flowing and design your personalized retirement party triangle matchboxes today!